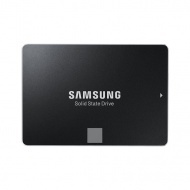 500GB Samsung 850 EVO, 3D V-NAND, SATA III 6GB/s, R/W(Max) 540MB/s/520MB/s, 98K/90K IOPS, 2.5"". 7mm, 5 Years Warranty"
"500GB, 3D V-NAND, SATA III 6GB/s, R/W(Max) 540MB/s/520MB/s, 98K/90K IOPS, 2.5"". 7mm, 5 Years Warranty"
1TB SSD 860 EVO SATA III V-NAND, 2.5". 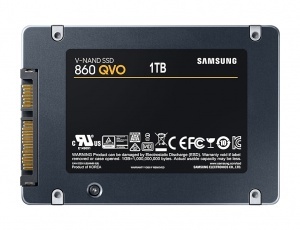 7mm, SATA III 6GB/s, R/W(Max) 550MB/s/520MB/s, 98K/90K IOPS, 600TBW, 5 Years Warranty"
"SSD 860 EVO - 1TB, Samsung V-NAND, 2.5"". 7mm, SATA III 6GB/s, R/W(Max) 550MB/s/520MB/s, 98K/90K IOPS, 600TBW, 5 Years Warranty"